Welcome to Rotten Rottie Rescue - Arizona's only Rottweiler Rescue! Thank you for visiting rottenrottie.com, Arizona's only Rottweiler rescue located in Gilbert, right outside of Phoenix! Within this website you should hopefully find all the answers you are looking for when it comes to helping rescue this great breed! From the dogs we have rescued, who's in foster care, how to become a volunteer or a foster parent, forms for adoption, donating, dog training , up coming events and so much more! We work hard to save as many as these great boys and girls off the euthanasia list at our county's animal shelter as we can (we also take owner surrenders, depending on temperament). Moreover, we rescue dogs from the Pinal County Shelter as well, and on several occasions have rescued rotties from neighboring states who were scheduled to be euthanized. The more Rottweilers we can place into forever homes, the more we can save! This rescue is foster based, meaning we do not have a large kennel where we house the dogs in cages all day. Each rottweiler that we rescue goes to live with a family who has experience or has been trained on how to safely bring in a homeless rottweiler, whose temperament is pretty much unknown. There the dog is able to relax and shows us his true colors. We are able to help train and tweak bad habits and behavior and learn what may set the dog off, such as a cat, another dog, a crying baby etc. This knowledge gives us the ability to match our dogs with families who would be a good fit. This gives the adopter a much better advantage then going to the shelter and picking out a dog that no one knows anything about, taking it home to find out that the dog gets very aggressive when he sees a cat and you hoped he was going to be fluffy's new best friend. By opening up your home to foster a rottweiler, you will get the satisfaction in knowing that without you the dog would be dead. Knowing that you made that much of a difference, will really make you feel good about yourself. Please click on the foster tab to learn more about our foster program. We owe all our success to our foster parents, trainer, volunteers and those who have made financial contributions. We simply could not do what we do without them. If you are interested in how you can join the Rotten Rottie family, please contact us to learn more. Most of the boys and girls that come in to the shelters are already doomed from the start, no matter what their temperament is. The Rottweilers we rescue come from different backgrounds (stray, abused, family was moving, too old, owner incapable of handling a 100+lb dog and the list goes on). Each come with their own story, however we try not to focus on where they came from, but where they are headed! Rotten Rottie can help this breed continue to thrive in Arizona. Once again I would like to thank you for visiting this site and remember...ADOPT A ROTTWEILER, IT WILL CHANGE YOUR LIFE! if you love the breed then get involved and help us rescue more of these amazing dogs. Rescue Rotties are the best! They are humble and appreciative. We rescue Rotties of all ages and sizes. We rescue Rottweilers who are a product of back yard breeders to papered Rottweilers who originally cost $3000+ from breeders and we can offer pedigree papers for some of our Rotties, and everything in between. We have had some drop dead gorgeous examples of this breed come through our doors that have great temperaments, great bloodlines and have been through formal training. You never know what you will find here. New dogs come to us every week! If you have previously adopted from us, volunteered for us, donated at least $100 and supported us, fostered for us or if you are pre-approved to adopt from us prior to the 20th of October then you are invited to attend the biggest rottweiler party in Arizona possibly the country!! Please click the link below to RSVP. If you don’t qualify to receive an invitation, you can always click on the donate tab above and get qualified!! We are a non profit organization and any donation would be tax deductible! Follow the link below to learn more! check out some videos of Rottoberfest from last year. Join us on FACEBOOK for more adoption stories, events, photos, videos and more info! discarded from people who yelled and beat. but we show them they can have faith in us. The walls come down in a week or two as their new foster family tells them it's true, that they can be loved and have a family who is good, and won't harm them, the way the last people would. Then one day, a spark is ignited, when he meets a new person, who is so delighted to make his acquaintance and give him a home, to have and to hold and won't let him roam. A bath in the tub, a good belly rub, a sister to play with, and he wags his nub, a cat to chase, A brother who throws his ball, this is all that he has dreamed of since he was very small. Forever is the goal, but often it is not, because there are too many rottweilers and some people are just not, the right fit for this breed, who are stubborn and keen, who will take over the place, without obedience training. They can be a lot of work, they need boundaries in place, discipline, structure, and even a crate. A leader they can follow and show them to behave, and more then love, they need training from Dave. Some are sweet, some are silly, some are downright mean, but they all have that famous.... rottie lean. 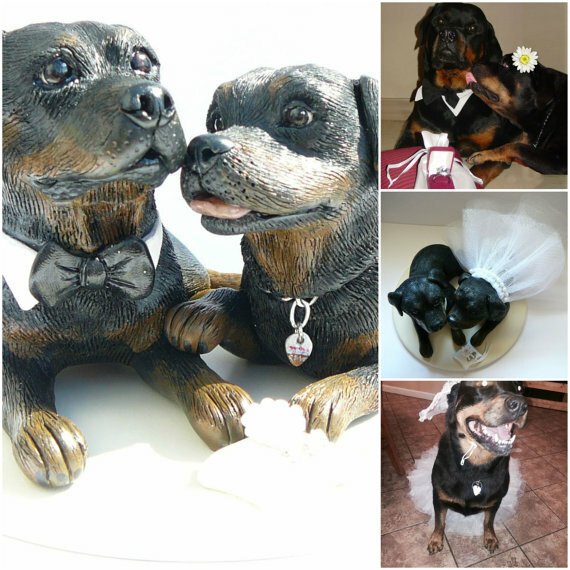 Foster Based Rottweiler Rescue and Adoption - Located in Gilbert Arizona, right outside of Phoenix! Rotten Rottie Rescue is the ONLY Rottweiler Rescue in Arizona! We are located in Gilbert, right outside of Phoenix.